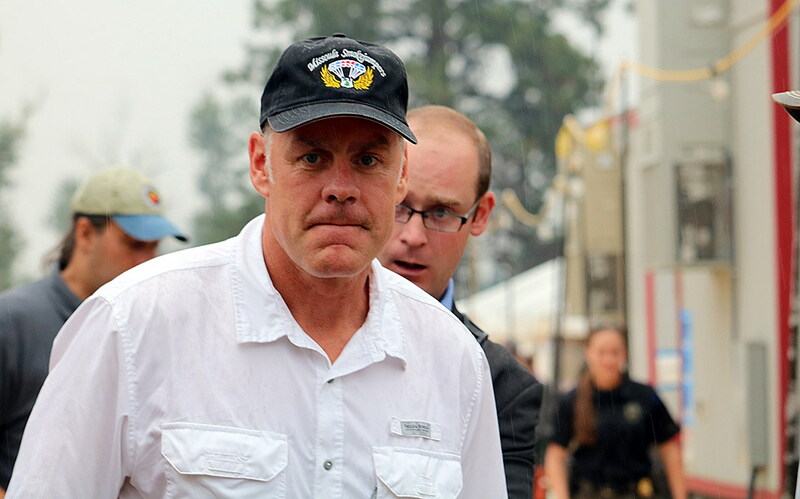 A Montana group has sued the Department of Interior for documents that may shed light on whether Ryan Zinke has acted illegally or unethically during his tenure as Interior secretary. On Wednesday, the watchdog group American Oversight helped Montana-based Western Values Project file a lawsuit in Washington, D.C., federal court to gain access to records of Zinke’s travel to various political conferences, his communications with individuals tied to Halliburton, and any emails sent by or to Zinke on personal email accounts or private servers. The lawsuit is based on 14 investigations that the DOI’s Inspector General and the Justice Department’s Office of Special Counsel have initiated over more than a year. Normally, a Freedom of Information Act could help citizens get such documents. But neither group received responses to numerous FOIA requests. In October 2017, American Oversight requested documents related to Whitefish Energy Holding’s contract to repair Puerto Rico’s energy infrastructure after Hurricane Maria hit in September 2017. Founded two years earlier in Zinke’s hometown, Whitefish Energy had just two employees when it was awarded the $300 million no-bid contract. Puerto Rico Electric Power Authority booted the company shortly after it started due to Whitefish Energy’s ineffective work coupled with high bills. Zinke knows Whitefish CEO Andy Techmanski and Zinke’s son did summer work for the company. On Tuesday, the Associated Press reported that even after losing the Puerto Rico job, Whitefish Energy was subsequently awarded two other federal contracts. The DOI gave the company a $225,000 job to work on three Washington state fish hatcheries and the Energy Department awarded it more than $1 million to work on transmission lines in Missouri and Arkansas. The AP reported the Interior Department denied this week that Zinke played any role in the contract awards. Western Values submitted a dozen FOIA requests between August 2017 and June 2018 for records related to Zinke’s use of taxpayer money to fund travel and appearances at political rallies and fundraisers, which are possible violations of the Hatch Act. The 1939 Hatch Act restricts political campaign activities by federal employees. The group also requested correspondence with certain keywords and emails sent to anyone related to Halliburton chairman David Lesar in an effort to learn more about Zinke’s involvement in some Whitefish real estate deals. Politico reported in June that Zinke and his wife, Lola, managed a foundation that was helping a Halliburton-backed group build a large commercial development in Whitefish. It creates a possible conflict of interest, because Zinke oversees 500 million acres of public land belonging to the Bureau of Land Management and the National Park Service, and Halliburton, an oil-services company, has been pushing to drill on more public land with fewer regulatory limits. Last year, Zinke rescinded Obama-era rules that restricted fracking on federal land.